Shotcrete technology evolves as both equipment manufacturers and chemical companies strive to improve performance. Although invented as a constructional material in the early 1900s, shotcrete is essentially a late-20th Century means of support. The development of the New Austrian Tunneling Method (NATM) in the late 1950s and early 1960s provided a major boost to its use in rock support, with the mining industry then picking up the baton from its construction counterpart. The NATM concept relies upon the use of shotcrete to provide immediate active support after each round of advance, with additional support then being installed with a combination of rockbolts, cable bolts and either sprayed or cast permanent concrete linings. Essentially, the shotcrete is used to prevent initial deformation of the heading profile and to allow the rock-mass structure to remain self-supporting until the later stages of support can be installed. In most cases, however, mining applications rely less on the shotcrete to provide rock-mass support than to provide a safety skin over exposed rock surfaces. There are exceptions, of course, with the use of shotcrete to provide long-term stability in drawpoints being one example. Other common applications include shotcrete cover over large excavations such as crusher and shaft stations; locations where the rock is not necessarily subject to high levels of wear (as in ore passes) but where it is imperative that high-level spalling cannot occur over time. Although the technique of spraying a cement-aggregate mix through a nozzle at high enough pressure to ensure compaction on the target surface was in use from around 1910 to the 1950s, the major breakthrough came with the development of wet-mix spraying. Before that, guniting had ruled the roost, gunite being the original dry-mix process that used cement and sand rather than coarser aggregates. Dry-mix application relies on water being added only at the spraying nozzle, with the early systems often being susceptible to clogging if the initial feed material was too damp. With the term ‘gunite’ patented, developers of the new wet-mix technique had to find an alternative name for their process, with ‘shotcrete’ or ‘sprayed concrete’ emerging as the industry standards. The term ‘shotcrete’ now typically refers to cement-aggregate spraying, while gunite is used for sprayed mortar, and is less common in mining applications that require the enhanced durability the concrete can provide. Designed for strength and longevity, shotcrete mixes differ from their traditional concrete counterparts in that they have virtually instantaneous initial setting requirements. After all, concrete sprayed on to the walls or ceiling of a heading has to stay there if it is to do its job effectively, and the sure sign of an inadequate mix design is a large pile of rebound material at the foot of the wall. 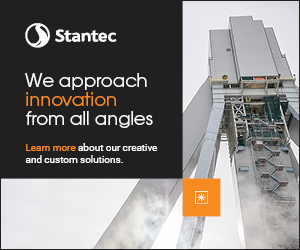 Set accelerators are essential, with the correct dosing of the appropriate chemicals now developed to a fine art in relation to the aggregate-cement-water mix and the duty requirements of the shotcrete in place. Little wonder then that all of the major manufacturers of shotcreting and guniting equipment have close links with the world’s main admixture suppliers: hardware and alchemy go hand-in-hand. The most recent marriage has been between Finland-based Normet, which has long been one of the world’s leading manufacturers of mobile shotcreting machines, and TAM International, the construction chemicals company that, up to now, has had its main markets in the Far East. In a move announced at the beginning of April, Normet has taken a 40% stake in TAM and will now represent TAM in areas of the world where it currently does not have a presence. In return, TAM will act as an agent and distributor for Normet in Hong Kong, Taiwan, the ASEAN region and the UK. The two companies recently worked together on tunneling projects in Hong Kong and Taiwan. Normet’s COO, Tom Melbye, would not draw on his predictions as to how this acquisition might help Normet increase its share of the global market for shotcreting equipment, but he did state his view that the company’s ability to provide both equipment and admixtures would help expand its presence worldwide. The Normet-TAM link-up sets the company on an equivalent footing to other suppliers, such as BASF (which has the Meyco line of equipment as well as the construction chemicals formerly marketed under the MBT banner) and the Putzmeister-Sika-Aliva alliance. Mix designs for shotcrete depend on a number of factors, some of which are similar to those for comparable concrete, while some are not. Where immediate support is critical, the development of early strength will be a key consideration, with the fineness and quality of the cement used being important factors. The fineness of the grind governs the cement’s specific surface area, with a Blaine value of not less than 3,200 cm2/g being recommended for use in shotcrete. Dry mixes typically use less cement in relation to the aggregate content than wet mixes, although the design will depend on the required final strength and other properties of the shotcrete in place. The relative proportions of sand and aggregate can also differ from those used in conventional concrete. Experience has shown that a sand-aggregate mix containing around 40% of particles smaller than 1.18 mm helps provide good pumping properties, while a maximum gravel size of around 9.5 mm is often specified. Too high a proportion of large material can lead to excessive rebound, as the gravel impacts on to a surface that is already studded with pebbles with little softer material in between them. Aside from plasticizers, however, a whole range of additives and admixtures is available. Frequently used additives include ground blast-furnace slag, pulverized fly ash (PFA) and silica fume, all of which have pozzolanic properties. Admixtures can be used to accelerate the initial set of the cement or to control hydration, to provide better thixotropic properties to the wet shotcrete while its initial set occurs, and to improve the bond between the rock and the shotcrete. In both wet- and dry-mix processes, admixtures are typically added at the nozzle, thereby providing control at the last possible point in the mixing, pumping and spraying process. The choice between using wet or dry mix shotcreting methods is often governed as much by logistics as by design criteria. Dry mixes can be moved in bulk and stored underground until needed. Wet mixes, which are batched first and then transported to the spraying unit, can obviously only be used where there is an appropriate transport infrastructure, and may in turn need the addition of retarder admixtures if it takes time to drive from plant to sprayer. In this context, there has been a noticeable shift in the preferred technology over the past 20 years. In an article published in 2000, Mike Rispin (then of MBT and now with Normet Americas) noted that while shotcreting in North American mines then still favored dry-mix application, a clear trend was emerging—especially for larger-volume users—for wet-mix. In a recent presentation, he estimated now more than 60% of shotcrete used in underground mining is wet-mix. This obviously has infrastructural implications, although if these are built in at the mine design stage, wet concrete transport requirements can be accommodated much more easily than if shotcrete support is introduced as an afterthought. Formerly within the MBT group and now part of BASF Construction Chemicals, Meyco’s shotcreting machines for mining include the Cobra, a compact electro-hydraulically driven, mobile unit for applying wet-mix concrete. A complete self-contained system, the Cobra was developed specifically for use in small-profile tunnels. The spraying arm has the flexibility to be folded back tight for tramming and is easily extended within a confined space for spraying, the company states. The equipment is mounted on a four-wheel-drive Paus chassis and carries an integral compressor for use where the main compressed air supply is either inadequate or unavailable. The company introduced its new Poca shotcreting machine at MINExpo 2008. This rig is available in two formats—either entirely diesel-driven and independent of outside power sources, or electrically driven for spraying operations. Other features include the option of remote control of the spraying operation, and a hydraulic powerpack that is positioned high on the vehicle for better cooling. Meyco recently supplied one of its largest units, a Roadrunner, to LKAB’s Malmerget iron-ore mine in northern Sweden. Fully highway-compliant, it was fitted with some special features requested by LKAB, including a 150-m-long high-pressure water hose on a retractable hydraulic reel, allowing the operator to clean the machine quickly after use from the nearest water main underground. Putzmeister displayed its new SPM 4207 shotcreting machine at the bauma 2010 trade show. Designed for use in small-to-medium haulage sections, it has been designed from experience gained with the earlier SMP 407 model, the company states. Two versions are available, with the PC variant carrying an integral screw compressor that allows the machine to be used independently of fixed compressed-air networks. For mining applications specifically, feature options include higher-wear-resistant mine tires, a cable drum carrying up to 100 m of power cable, a catalytic converter and diesel particle filter, and an integrated fire-protection system. The SPM 4207 is equipped with an Aliva 302 spraying arm with an 8.5-m reach. Spraying rates can be up to 20 m3/h of wet-mix concrete. Operator aids include an additive-management system and a multilingual color display for performance data. Normet also introduced a new machine at bauma, the Spraymec 8110 VC, although this is designed for use in headings that are larger than would normally be found in mining. Instead, the company’s long-established Spraymec 6050- and 1050-series spraying rigs are designed for mining use in smaller and larger development headings, respectively. Both machines are available in either diesel-powered or electro-hydraulic configurations, with maximum spraying capacities of up to 20 m3/h for the 6050 and 25 m3 for the 1050. Normet covers the Latin American market through its Chile-based subsidiary, Semmco which, it claims, is the only South American manufacturer of wet-mix shotcrete sprayers and low-profile transmixers. Semmco now has more than 20 of its Alpha 20 sprayers at work in the region’s mines, the machine offering a reach of up to 7.5 m. Diesel-powered with a hydrostatic transmission, the rig is equipped with an onboard concrete pump, stainless-steel accelerator tank and an electronically controlled accelerator dosing system, with boom movement and spraying under wireless remote control. It can be supplied by the company’s Tornado transmixer, which can carry up to 4 m3 of wet mix per load. From Canada, utility-vehicle manufacturer Dux Machinery Corp. includes a shotcreter within its product line-up. Equipped with an Aliva 263 pump that can handle either wet- or dry-mix material, the S1 can work in tunnel heights of 2.5-7.8 m, allowing for a minimum 1-m gap between rock and nozzle. The unit uses an Aliva 302 spraying arm, with operation controlled via a cable-based remote. Wet-mix shotcreting requires separate vehicles for spraying and for concrete transport, whether this is direct from a batching plant on surface, or from a hopper at the foot of a borehole. As with conventional concrete transport for any construction project on surface, the material must be kept in motion to prevent aggregate segregation and to maintain the mix consistency. A number of companies now market low-profile truck-mixers for this purpose. Since 2000 part of the Astec Industries group, Breaker Technology Inc. (BTI) was once known as Teledyne Specialty Equipment/CM Products, a name that had long connections with mining. Its four-model SCT series of shotcrete-transport vehicles provide carrying capacities of between 3 and 6 m3. Bi-directional drum rotation at speeds of up to 14 rpm means that the mix can be kept consistent during transport, and can then be discharged into the pump by reversing the rotation direction. The drum unit itself has a diameter of 1.4 m (56 in. ), and is carried on one of the company’s LP series of articulated carrier chassis. The overall unit length depends on the carrying capacity required, and can range from 3.7 to 5.6 m (147–221 in. ), while the width is 1.56 m (61 in.). Normet has a four-model range of stand-alone transmixers, ranging in carrying capacity from 2.5 to 5.6 m3, as well as an agitator truck that offers a 6 m3 load for high-volume spraying operations in larger headings. Transmixers units are also available as interchangeable cassettes for the company’s Variomec and Multimec multi-purpose chassis. Both tilting and non-tilting transmixer versions are available. U.S.-based Maxon offers its Maxcrete transmixers, which can be mounted on a range of other companies’ utility vehicles. Capable of carrying from 3.4 to 15.3 m3 (4.5–20 yd3), depending on the model, the Maxcrete has an open-top body for easy loading, a large discharge gate for fast unloading, and a full-sweep paddle design for complete re-mixing or re-tempering the concrete, Maxon states, with units capable of being mounted on skids, rail or trackless systems. Despite new-found prominence from its tie-up with Normet, TAM International is probably one of the less well-known admixture suppliers. Nonetheless, the company has developed a range of products that are specifically designed for shotcrete applications with, for example, both liquid- and powder-based accelerators on the market. TAM’s TamShot 10SS is a liquid accelerator for wet-mix shotcreting, designed for use where thick layers of high-strength shotcrete are being applied. The company claims that its alkalinity is lower than that of traditional accelerators, although where an alkali-free product is needed, it can offer its TamShot 80AF accelerator. Powder-based accelerators include TamShot 80PAF which, TAM claims, can help to improve productivity by shortening the time between each subsequent layer of shotcrete. Partnering Putzmeister’s equipment, the Swiss-based chemicals company, Sika, offers a complete range of admixtures for shotcreting. Its ViscoCrete super plasticizer technology is designed to control the workability and increase the durability of sprayed concrete. Helping to reduce the water-cement ratio, ViscoCrete also works in conjunction products in Sika’s Sigunit accelerator range to improve strength development in the shotcrete, the company states. Meanwhile, SikaTard regulates the hydration of sprayed concrete, allowing the set time for a mix to be retarded for anything up to 72 hours. Shotcrete admixtures from BASF’s Construction Chemicals division include the company’s Meyco SA range of alkali-free liquid and powder accelerators, its Glenium and Rheobuild ranges of superplasticizers, Delvocrete hydration-control admixtures and Meyco TCC bond-improving admixtures. Shotcrete technology is still evolving, as both equipment producers and chemical companies strive to meet the strengthening worldwide market for their products. 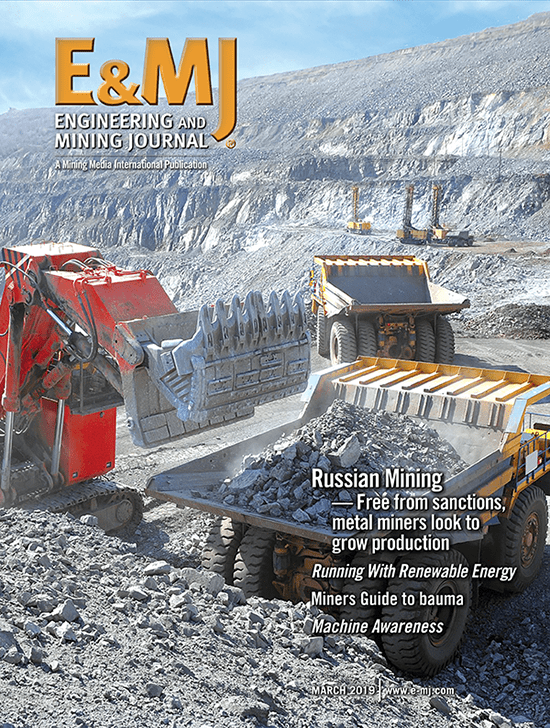 As has been seen with recent alliances, both sets of providers have found it beneficial to offer combined product packages as a way of optimizing technical support for mining-sector customers. One further area of the technology is now being addressed in both North America and Europe: operator training. The quality of shotcrete, and hence of the support it provides, has a direct relationship with the competency of the person operating the nozzle, be it handheld or mounted on a spraying arm. An indifferent or inadequately trained operator will often produce poor-quality shotcrete. Aiming to remedy this, Europe’s trade organization, EFNARC, and its U.S.-based counterpart, the American Shotcrete Association, have both established expert-operator certification programs. Building on its gunite foundations, shotcrete technology has come a long way over the past 50 years. Around the world, an increasing number of mines are relying on the concept for at least a proportion of their support requirements.